Last week, the RTCCD medical training department has successfully conducted a field trip to mark a strategic milestone in collaboration with Northwestern University to carry out training for health workers with bachelor background in northern mountainous provinces. During the field trip, the delegation worked with the Board of Management and the leaders of the university’s department, checked the school’s infrastructure, auditorium’s construction site, medicine students’ hostels, and visited General Hospital of Son La province and the clinical practice facility of Sanatorium College of Son La province. 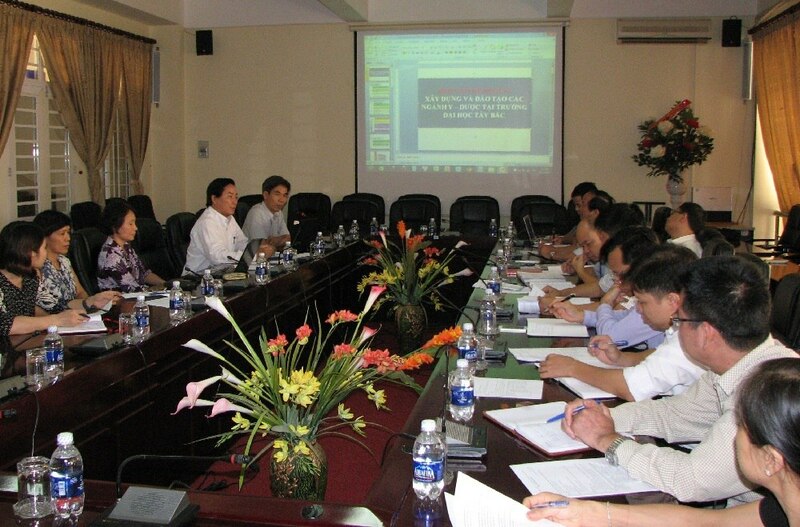 After two working days, the two sides agreed on the training program proposed by the RTCCD. The cooperation firstly focuses on 6-year training for community doctors, with the very new program and approach proposed by the RTCCD. This program and training approach are based on two basic principles of modern training: Problem-based Solving Approach and Learner Centered Approach with the philosophy of Community-based Health Care. All the stakeholders highly appreciate the proposal of RTCCD in developing the capabilities of health workers in the economic, cultural, health, educational and social context of mountainous area. The creative points of the proposal, as compared to other organizations the Northwestern University has consulted over the past 5 years, are that it is designed to provide trainers with knowledge, skills and ethics to solve health problems at all three levels: individual, family, community based on the preventive medicine centered principle. This promising training program is expected to build up sustainable human resources that are able to deliver good primary health services in Northwestern mountainous region. 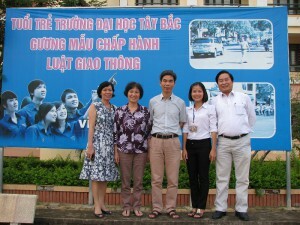 Moreover, the program will be extended to 8 Northern provinces of Laos. At the end of the working session in September 1st, two parties agreed with the Memorandum of Understanding for 10-year cooperation program (2015-2025) between Northwestern University and RTCCD. The key objectives of the cooperation program include: (1) Faculty of Medicine and Pharmacy will be established in March 2016 with lecturers and faculty leaders from RTCCD’s expert resources; (2) Complete the registration to officialize its training program for public health professionals and Bachelors of Community Nursing in December, 2016; (3) Recruit the first full-time students for the year of 2017 and 2018; (4) Set up on-hand trainers capable to manage at least 50% of the training programs by 2025. 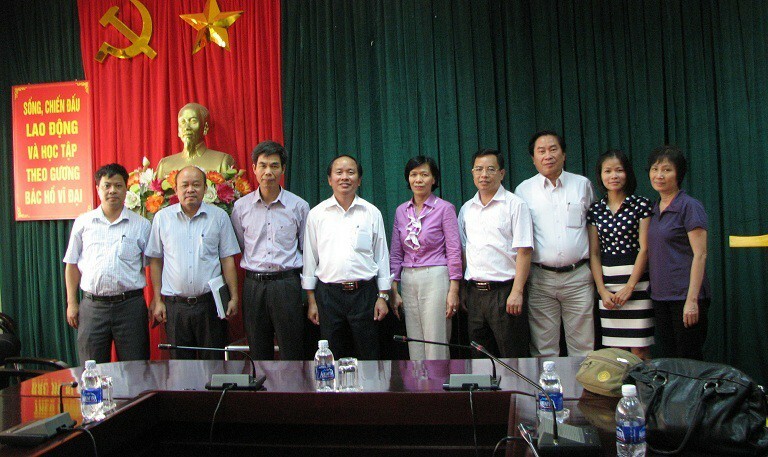 The two parties agreed to seek the fund from the four sources (the university, Son La province, Northwestern Committee of the government, state budget, and international cooperation fund of the government for health care professionals in mountainous region) and from the projects jointly initiated by RTCCD and Northwestern University for developing international cooperation in the years to come. Shortly after the trip, both sides have immediately embarked on two key activities as the basis for cooperation. In particular, the leaders and key staffs of RTCCD promote designing of structural and functional models for the topic delivered by the faculty. Currently, specific management framework has been formed in which 12 staffs from the RTCCD undertake key positions of the faculty, such as head of faculty, vice head of faculty, topic coordinators (6 of 7 topics). Half of these will be regular staffs of the university in the years of 2015-2025. The Northwest University will adjust and allocate the budget to support the staffs of RTCCD in establishing and operating the faculty before international aid is obtained.